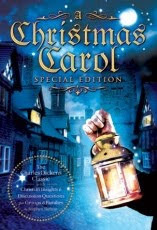 We all know the story of A Christmas Carol by Charles Dickens. Scrooge is a scrooge, a miser who hoards money and doesn't celebrate Christmas. He is visited by his dead partner Marley who tells him he will be visited by three ghosts - the ghost of Christmas past, present and future. Once all is said and done, Scrooge is saved from his miserly ways and becomes a generous happy person. So what is different about the special edition. The special edition includes annotations in the side bar of the pages giving insight into Dickens insights when writing the book, definitions, biblical allusions and symbols, plus there are discussion questions at the end of each chapter. Surprisingly, in all my 50 years I've never actually read A Christmas Carol. If my parents ever read the book to us I certainly don't remember it. I've seen the movies of course so knew what the story was about. But never considered what the three ghosts symbolized or other factors in the books. The annotations made reading the book easier to understand since it included definitions of old English terms that otherwise would have had to look up. The insight into symbols in the book were interesting such as Marley's ghost coming from below is symbolic of coming from hell and the chains wrapped around him give an account of his actions on earth. One thing I had always thought was that the visitations took place in one night. According to Marley, Scrooge would be visited by three ghosts over a three night period. "Without their visits,' said the Ghost, "you cannot hope to shun the path I tread. Expect the first tomorrow when the bell tolls one." "Couldn't I take em all at once, and have it over, Jacob?' hinted Scrooge. According to the annotation on the page "Dickens set Scrooge's journey over three days -- three being a biblically significant number, representing not only the Holy Trinity, but the three days of Christ's death, burial and resurrection, which Scrooge's experience echoes. In addition, the miser's journey ends on a holy day, Christmas, the day that marks the birth of Christ -- and the rebirth of Scrooge." pg 27. However, when he woke up finally from the ghosts visitations, it was Christmas day. The special edition made reading A Christmas Carol are richer, more thoughtful experience rather than just reading a story for entertainment value. I highly recommend it. Thank you to Julie at FSB Associates for sending me a copy of the book. "Verdict: I Heart It! Here's what amazed me about this book, I'm not your mainstream Christian. The doctrine I follow often conflicts with mainstream Christianity, but it did not conflict with this book...."
"There is so much more to the story than what the movies show. 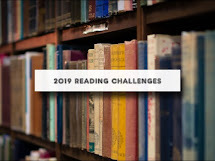 The annotated version and the connection to the true spirit of the season reminded me just how special this story truly is." "After we finished the story, I went back and read all the annotations and discussion questions on my own. I LOVED the annotations!..." *** FTC notice: non compensated, unbiased opinion - book received free of charge from the author. Link to amazon for informational purposes only.